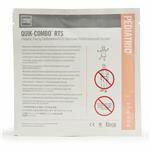 Important Notice: Physio-Control (formerly Medtronic, Inc.) has announced the discontinuation of the LIFEPAK 12. Orders are no longer being accepted. LIFEPAK® products from Physio-Control, formerly Medtronic, have been the gold standard in EMS and hospital care for over 30 years. Over 80,000 LIFEPAK 12 monitor/defibrillator units are in use on ambulances and in hospitals all over the world. Combine this global user base with Physio-Control's network of technical service representatives, and you'll be a part of a team that has saved thousands of lives in every corner of the globe! The Physio-Control LIFEPAK 12 is tough enough for mobile and transport use, but excels in clinical settings, too. You can use it anywhere. 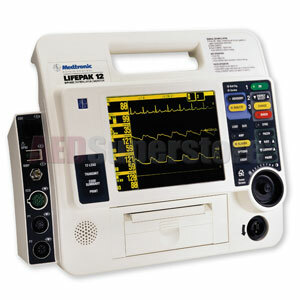 And the AED Superstore has the LIFEPAK 12 available in all configurations with your choice of options and accessories. Here's why medical professionals rely so much on the Physio-Control LIFEPAK 12 monitor and defibrillator. The LIFEPAK® 12 Defibrillator/Monitor is a multi-parameter device that combines semi-automated and manual defibrillation with capnography, external pacing, 12-lead electrocardiography and other monitoring functions. Its platform is upgradeable, allowing customers to add new parameters as their needs change and as new features are introduced.